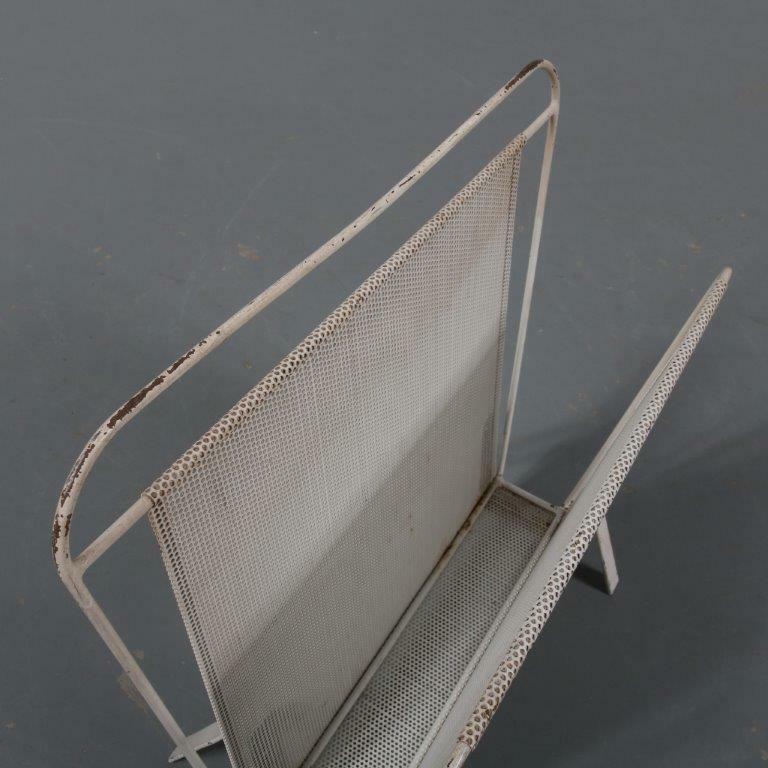 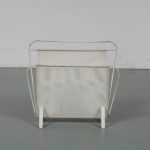 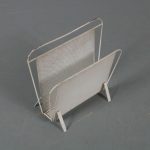 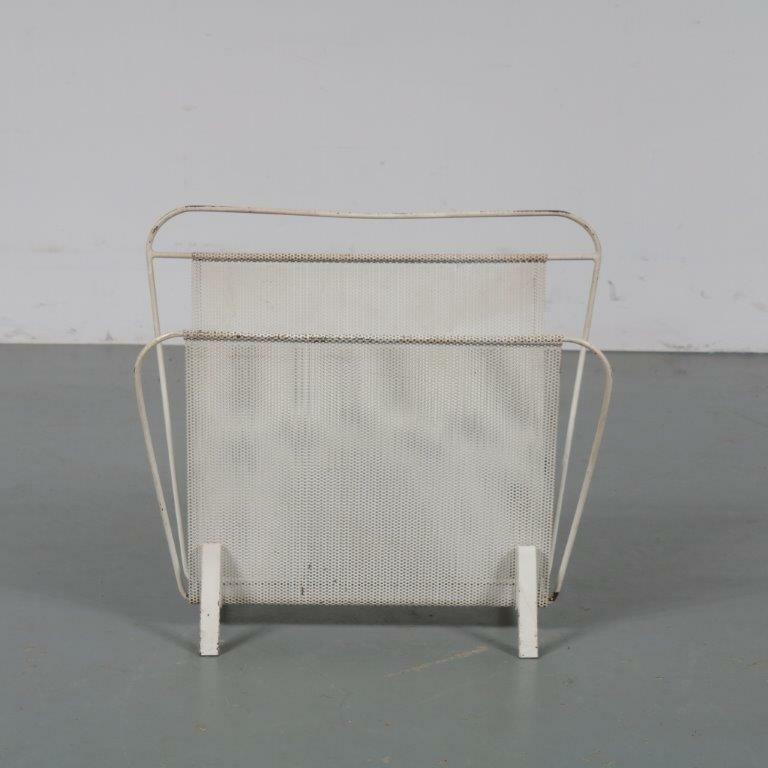 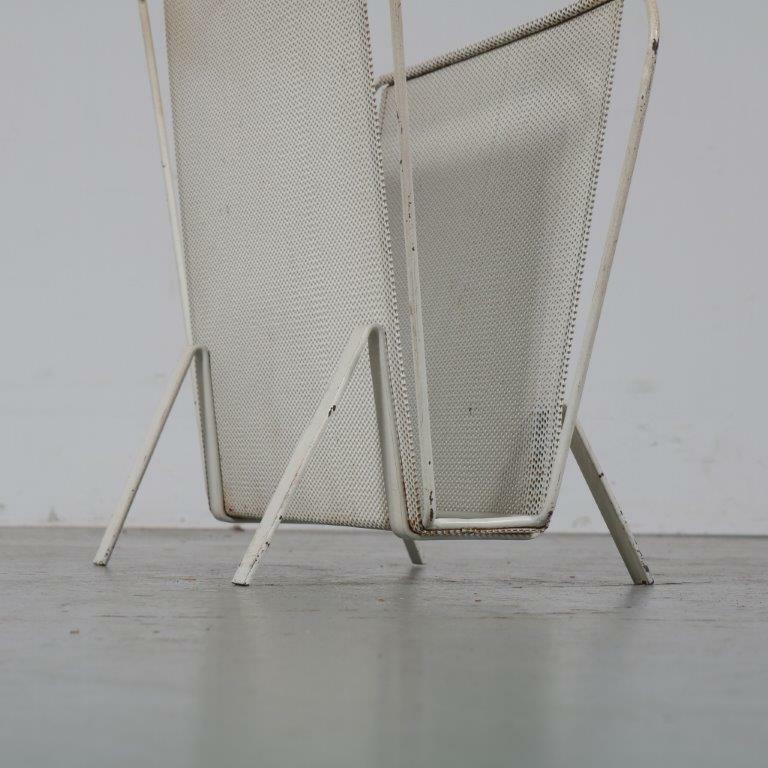 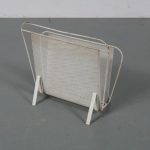 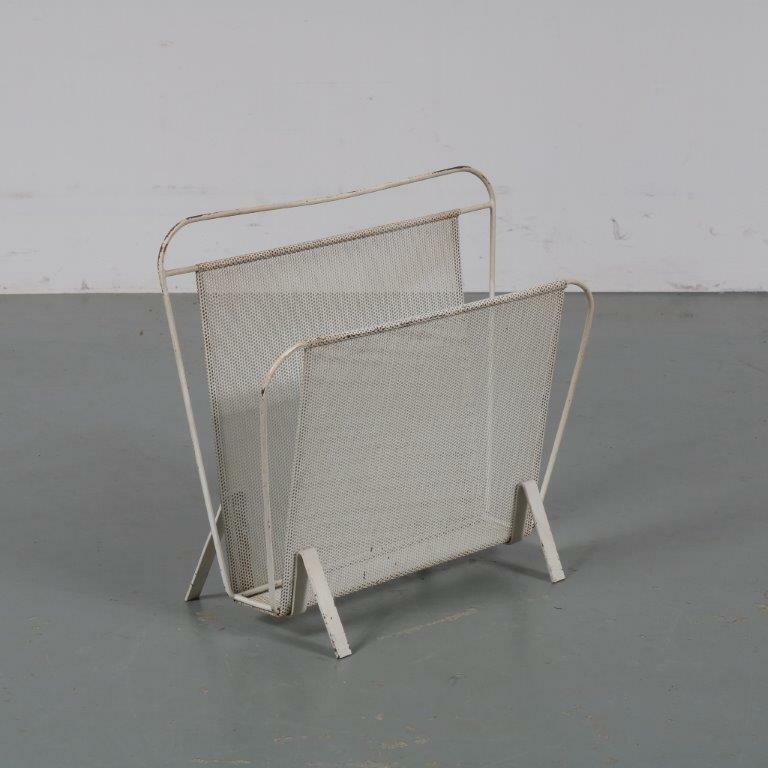 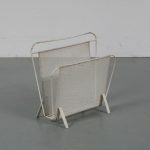 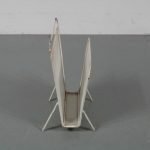 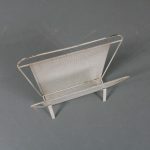 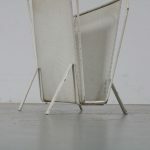 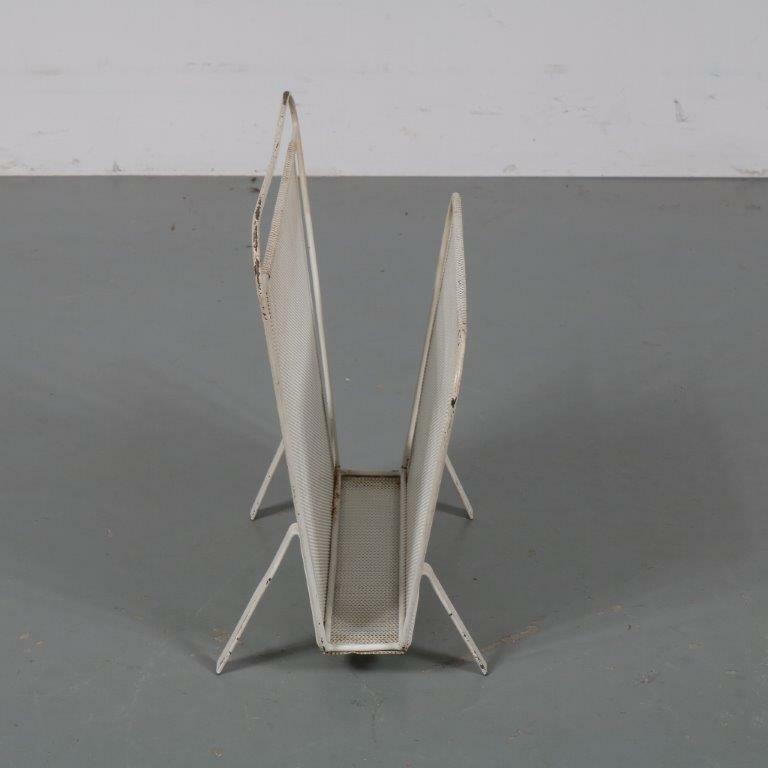 A beautiful French design magazine holder by Mathieu Matégot, manufacutred by Artimeta in the Netherlands around 1950. 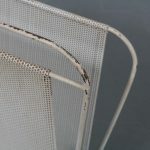 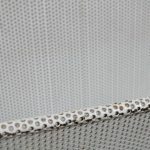 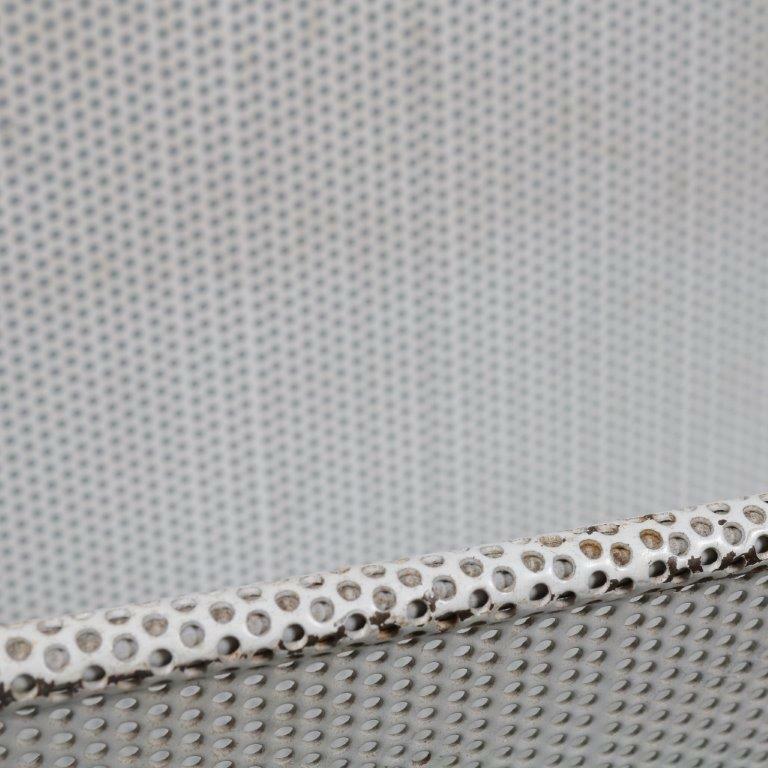 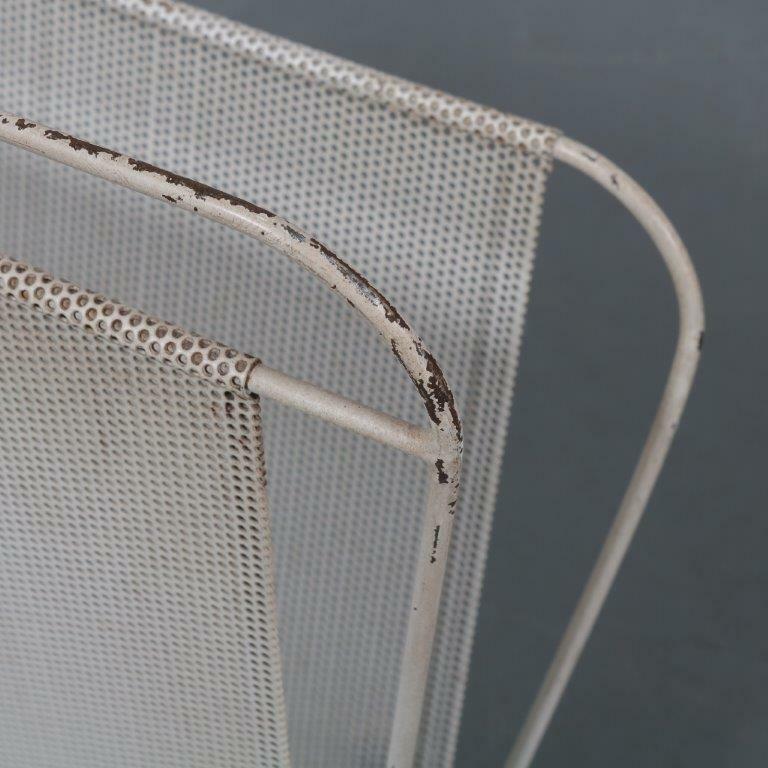 It is made of high quality white perforated metal, making it an eye-catching and very recognizable Matégot piece that would make a great addition to any modern interior. 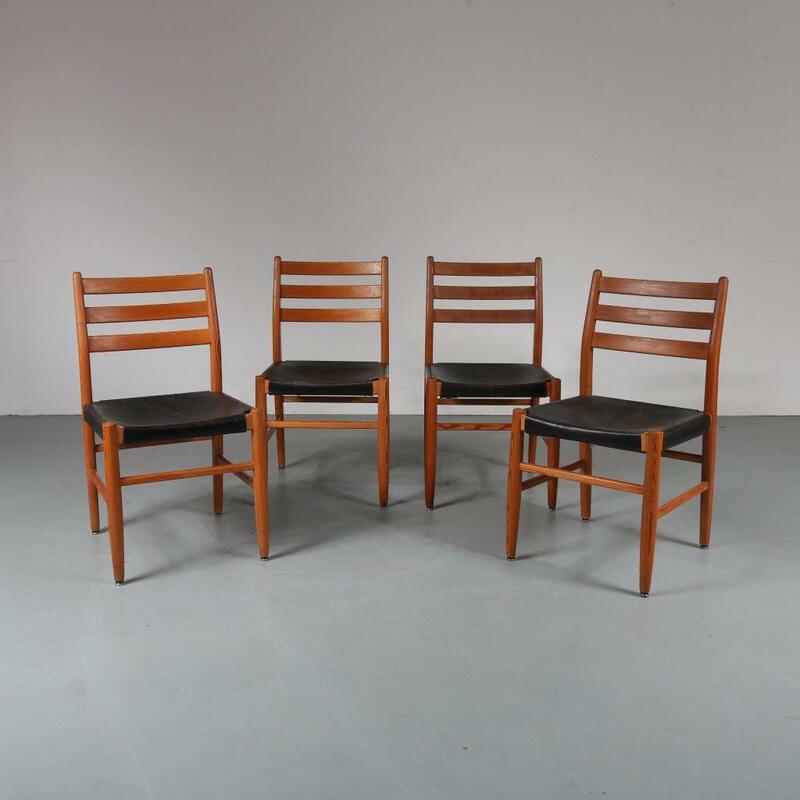 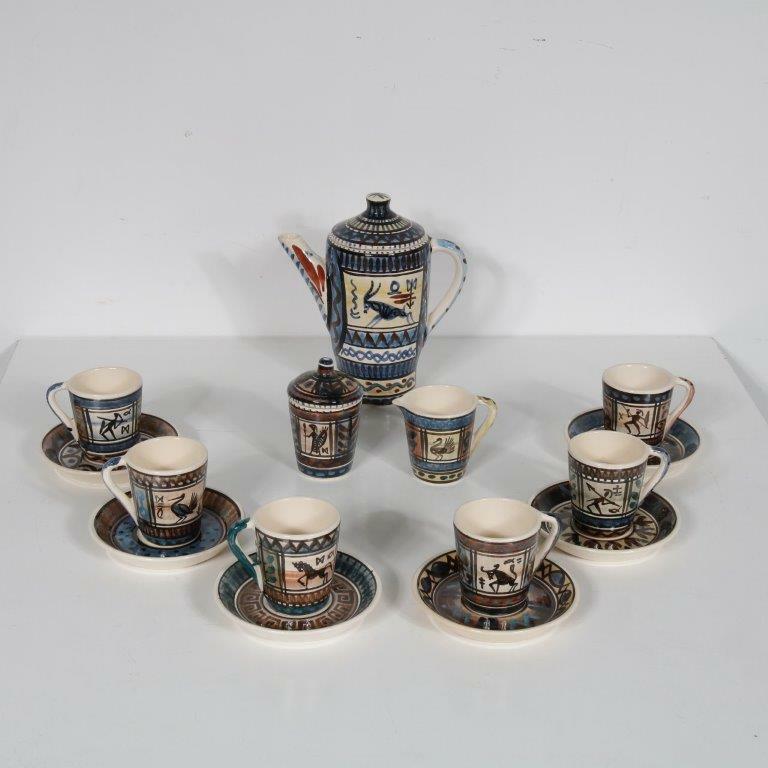 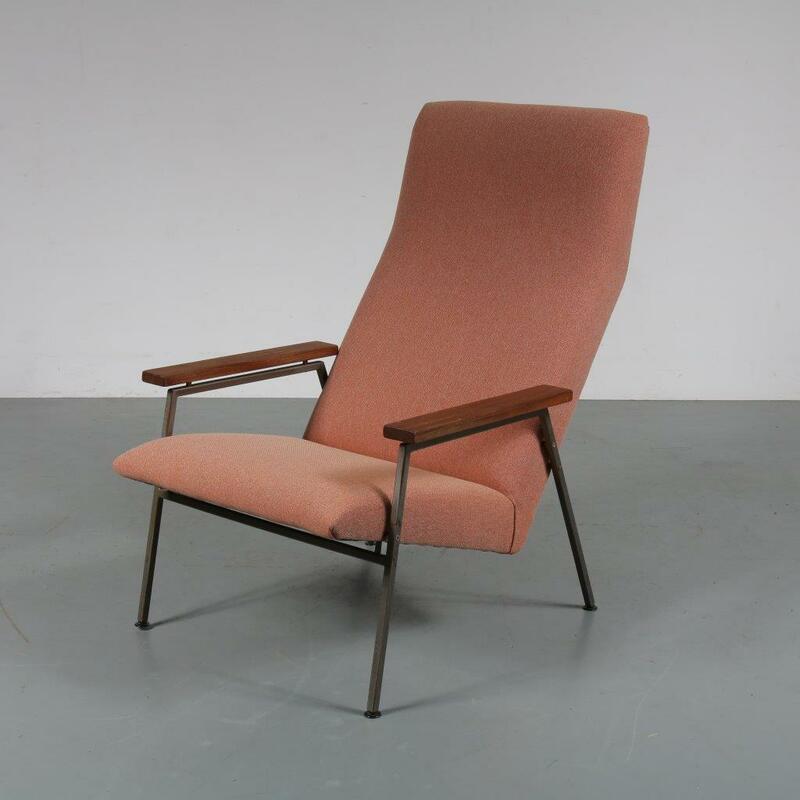 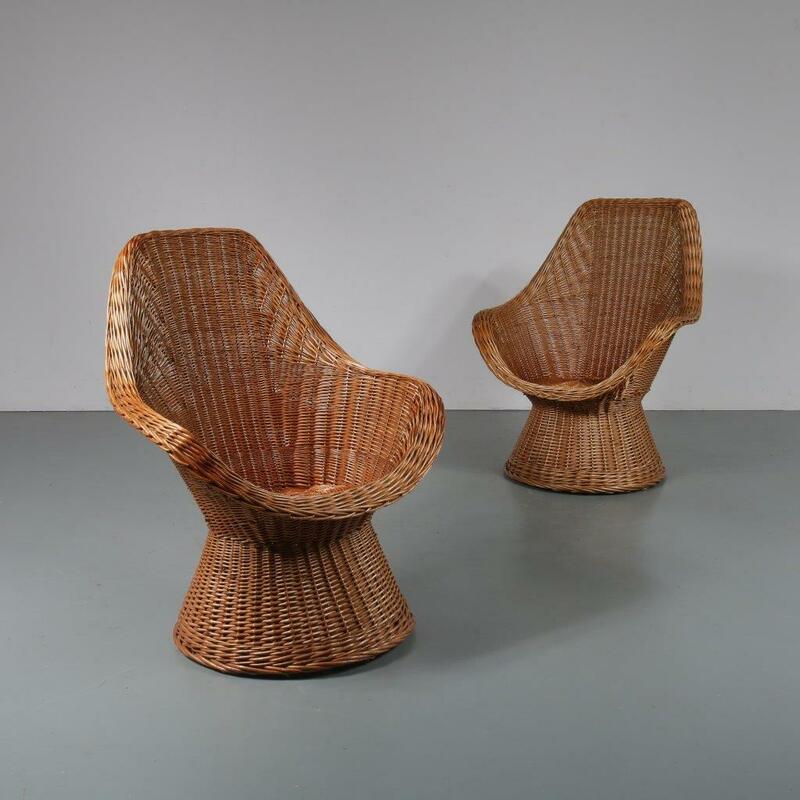 In good original condition with minor wear consistent with age and use, preserving a beautiful patina.